Increase traffic to your listing with Auctiva's FREE Scrolling Gallery. 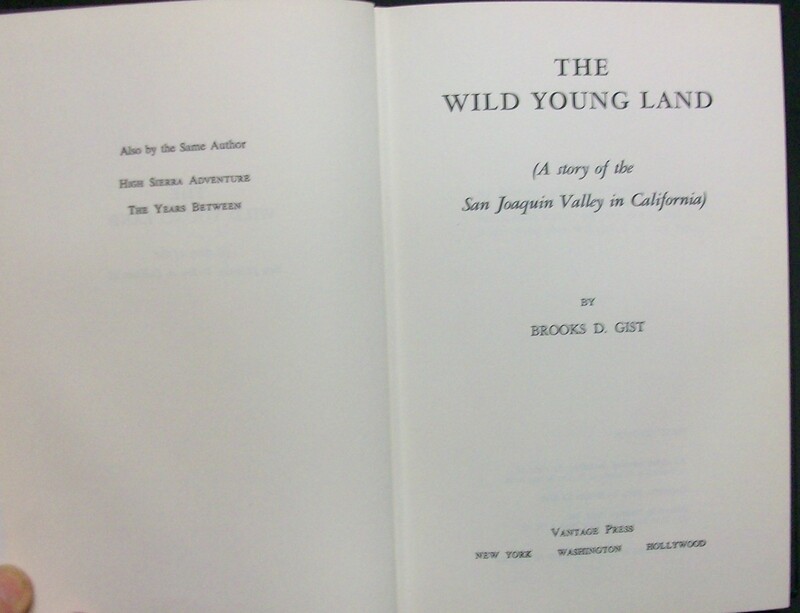 The Wild Young Land by Gist, Brooks Vantage Press, 1962, stated first Hardback in good condition, NO dust jacket. Text is clean and unmarked, binding tight. Cover is clean and shows little signs of wear. This is a novel using real people and places covering the history of the San Joaquin Valley in Central California. This valley now the bread basket of America grows more crops than any other in America. Fruit, Vegetables, Dairy, Beef, Poultry to name a few. Great early history of the Valley and the men who made it what it is today. Powered by Turbo Lister The free listing tool. List your items fast and easy and manage your active items.